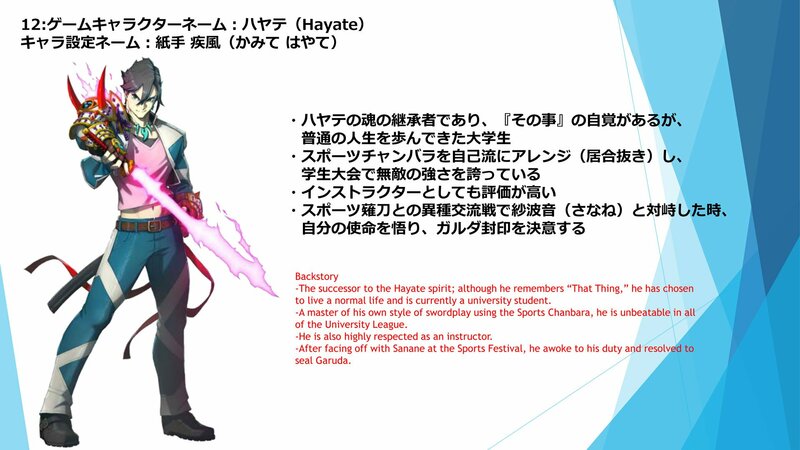 The successor to the Hayate spirit; although he remembers "That Thing," he has chosen to live a normal life and is currently a university student. 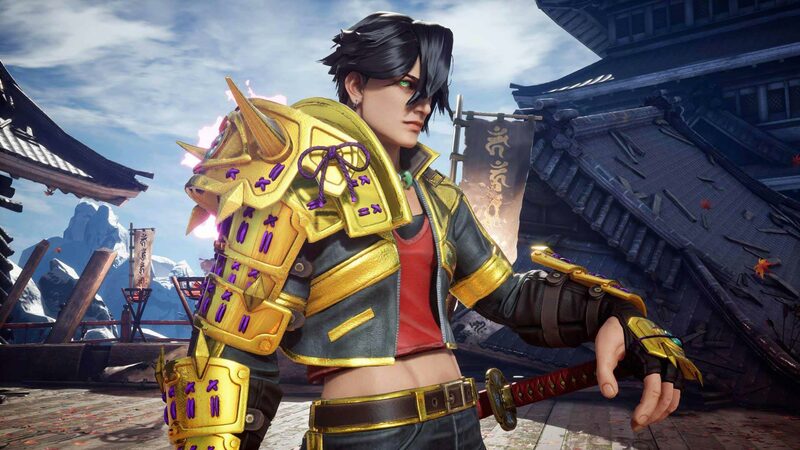 A master of his own style of swordplay using the Sports Chanbara, he is unbeatable in all of the university league. He is also highly respected as an instructor. After facing off with Sanane at the Sports Festival, he awoke to his duty and resolved to seal Garuda. This Hayate shares some traits with Hayate from Street Fighter EX2. So let's address the tiny elephant in the room. So... like, Mr. Nishitani... I know that you know - there are already 3 characters named "Hayate" in the fighting game universe, right? ^______^ Thus, another Hayate TFG profile is born. If he visits FightersGeneration.com, Nishitani-san must be getting a laugh out of this. P.S. I'm interested to try out this character! Mission comprete?